It’s easy to lose yourself and get caught up in the room. The absolute best minds in fantasy baseball surrounding you with their eyes on the rookie to see if he can hang in “the show”. 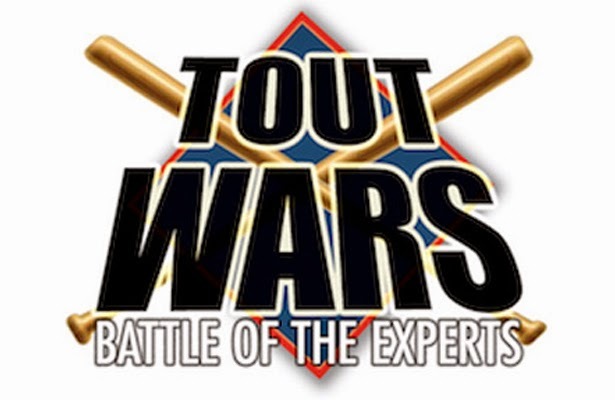 My first Tout Wars experience is something I will never forget. 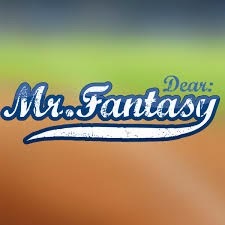 It’s a pipe dream when you cover fantasy sports to someday be accepted into the fraternity. The members of Tout could not have been more welcoming and supportive for this first timer and it was an honor to be indoctrinated into the free masons of fantasy. My strategy going into the Tout Mixed League Auction Draft was the same as any auction I’ve done in the past. I’m looking for players to hit a profile of production at a particular price point. This isn’t that difficult, but it’s easy to get swept up in a bidding war and abandon your discipline. My preparation centers around the construction of a “Pre-Draft” team that fits what I believe will be a competitive roster within the $260 budget and leave myself under at least $10-12 for inflation in the draft room. This is a common practice but a useful one. When I dropped in the projected stats of the “Pre-Draft” team, I would have placed 3rd in last year’s Tout Mixed League, so I was on the right track. The Tout Draft experience is a throwback to your old school, pen and paper in your friend’s parent’s basement 15 years ago. There is no draft software to sort players and remove selected ones. It’s an all-encompassing commitment of mind and spirit for 4 hours as you ride the waves of bidding, trying to secure what you need before time and money run out. I rarely if ever bid on a player I wanted until the words “Going twice!” were uttered. Why even throw one unnecessary dollar onto a player salary I want to roster? This also has a nice ripple effect of putting the previous high bidder on the defensive, making them decide quickly if they are going to continue after they already thought they had succeeded. There is a poker game element to the auction process. When the dust cleared here’s what I was left with and I must say in a league of this size and depth of knowledge, I was pleased with the end result. In my “Pre-Draft” team I budgeted $20 for Lucroy and I was willing to go slightly above that mark if necessary. A two catcher league with 15 teams makes backstops a priority considering that every major league starting catcher will be active each week. The RPV of Lucroy in this scenario is quite high and I still don’t see much drop off statistically between him and Posey. For the $7 price difference of $7, I’ll take the discounted Lucroy. A second catcher wasn’t a priority once I had Lucroy under control. Jaso was my original target but his price went higher than anticipated. I nominated Castro thinking someone would go to $2 or $3 but alas, crickets. Still, a second catcher who has a starting job and can hit a dozen or so homers isn’t the worst thing to be “stuck” with at the end of the day. You always have to be prepared in a live auction to roster the player you nominate. Never forget that! Drafting Frazier gave me enormous draft flexibility which is something I preach in The Fantasy Black Book. I could slide him from 1B to 3B and let the market come to me for other corner infield payers, and that’s exactly what I did. I’m a believer in Frazier’s power, speed and athleticism. I’ve been watching him play since he was 12 years old growing up in NJ and he’s also about as solid a dude as you can hope to own. If you think makeup means nothing in fantasy you are absolutely wrong. Hustle shows up in the box scores and so does pride and work ethic. Frazier has all of these and for $21 he was a bargain. When the value of my original plan (Prince Fielder) ballooned to $27, I was pleased to have added a player like Frazier with power and speed. My original target was Kolten Wong for $19 and when you consider I was targeting him for an “Ian Kinsler-type” season, why not go with the original for the same amount? Far too often fantasy owners want to reach for players with potential and neglect the proven veterans and this is true of any league no matter how expert or novice. Kinsler likely won’t steal as many bags as Wong, but he will certainly score more runs and has a more proven power floor. I’ll be the first to admit I am not the biggest Manny Machado fan, but this is business not personal. For $12, the 23 year old Machado carries improving power, a favorable home park and for less money than players like Matt Carpenter ($16) who will lack the upside of Machado. At the time I drafted him, he had the ability to play 3B/CINF or UT for me thanks to owning Frazier. The original plan was Segura for about $12, but I ended up with a player who can steal 25-30 bases, with far more power and run scoring potential. Again, I compromised on the high stolen base potential a bit, but came away with the better overall player. Segura would have been a nice roto rebound candidate for $11, but for $3 more Rollins offers more track record and proven production. Fans of The Fantasy Black Book Show on Sirius/XM Fantasy Sports Radio know that I am tough on Arenado, but when Ray Flowers nominated him at $18 and no one bid I couldn’t let him go on an opening bid. So, on principal I bid $19 and became the owner of a 2015 Nolan Arenado. My toughest critique of him has been his home/road splits, but since this is straight roto, not a head-to-head scenario, I believe his counting stats will be strong at the end of the season. Arenado as a CINF I felt offered 25/80 appeal and that’s not too shabby in a 15 team mixed. Phillips is on the decline, but still capable of contributing some homers and steals. I especially think a revived Votto and Bruce will do wonders for his value in 2015. He's a good enough athlete to gamble on one more bounce back campaign. He’s the only player I paid more than $30 on my entire roster and it’s because of his elite four category production. He’s a 100/35/100 threat who’s .400 OBP will raise the collective on base percentage of my entire roster. I wouldn’t have gone to $37 because then, but I didn’t mind maxing my threshold for the best on base guy in the big leagues. Originally my plan was to get two 1A outfielders for about $55 a piece, but once I spent $36 on Bautista I had to find savings and get creative. ENTER HUNTER PENCE! I know he’s going to miss the start of the season, but Pence is a five category, front line outfielder and five months of his bat is well worth $12. Combined with Bautista, I actually saved $2 from my original outfield budget. I did have to sacrifice a few weeks of production, but I can patch it together until he’s healthy. When Pence returns I have a great 1-2 outfield combination. I was targeting J.D. Martinez, Alex Gordon, Adam Eaton and A.J. Pollack for this spot. Unfortunately. They all went out of my price range leaving Pollack and Cabrera. I thought Pollack for sure would join the others and sell for well above my means since he’s an industry darling this year. Therefore, I grabbed Melky at $10. Pollack ended up going for $9 shortly thereafter, but then again had I been in on the bidding perhaps it would have gone higher. No regrets. They are comparable statistically and Melky has more track record so again the proven entity ends up getting the roster spot. Now with limited budget at the end of the draft I had to make calculated purchases. Bourn is older and coming off of consecutive down years, but I was low on steals and even 20 from Bourn would be worth the $1 investment. If he’s healthy, Markakis brings a strong on base percentage and a dozen homers. He also has an everyday job waiting for him. That’s something many $1 fliers in a league this deep cannot say. I always preach leave upside for the end of your draft and I did just that with this pick. Johnson is having a great spring and if he does win the everyday second base job he brings big steal and on base potential. He also carries trade value based on his “potential” and I will certainly be open to offers. Rather than spend $35 on one big arm, I decided to try and build my rotation around two nearly elite starters for about $45. Not only would this strategy yield more overall production, but it also minimizes my risk. If your staff is tied to one big ace and he goes down that can crush you. Cueto would have been a lock for NL Cy Young last year and is in a contract year. Sign me up for $22! Did someone say contract year? I believe I did. Zimmerman is a terrific pitcher and will certainly deliver elite ERA and WHIP. If his K/9 holds in the 8.3 range as it did last year, he may be the steal of the draft. I ended up with two 1A aces for $45. Mission accomplished! Pitchers miss starts all the time during a season. Why a guy missing two in April means he’s discounted $10 I’ll never know. Richards was an ace last year before his untimely knee injury. I now had three arms capable of a sub 3.00 ERA, 200K’s and a WHIP around 1.10 or better. Here’s the one place I may have overpaid based on preference, but clearly I wasn’t the only one at the table who thought highly of Quintana. Back to back 200 inning seasons, with and improved offense and bullpen make Quintana one of my favorite arms in 2015. If he performs up to his ability the $14 will seem like a bargain. I had him on my “Pre-Draft” team for $5 so I was right on target. I expect him to be a solid #5 starter and in a league of this depth. That’s a pretty big talent to slot in the back of any rotation. His risk kept his dollar value low and his reward clearly is worth every penny. So I could waste a $1 on a nothing pitcher or take a chance on some upside. Jose Fernandez went for $6 and I see no reason why Moore can’t at least be a trade chip to a team desperate for pitching if he avoids a setback and returns in June/July. He could also end up being a nice addition to my own rotation should injury strike mid-season. It will cost me nearly nothing to find out and my rotation is already a strength. Back with John Farrell, I see no reason a healthy Masterson can’t return to being a useful starter. Just a year ago he was a #3, now he’s fallen off the face of the earth? I’m willing to bet $1 he rebounds for 12 wins or more in Boston decent peripherals. With no mandatory RP slots to be filled, my hand wasn’t forced into the closer market that quickly escalated well above what I anticipated. A few teams stacked closers which immediately put the market value for the other teams through the roof. I refused to spend money there with so much annual turnover in the market in this league setting. McGee was a steal especially when you consider an injured Sean Doolittle went for $11. McGee was quietly brilliant last year and is aiming for a late April return. My goal was to just be mildly competitive in saves and that theory required two closers to start that process. Considering the price tag of closers and even set up men, Cecil for $3 was exactly what I was looking for as the draft wound down. Once Marcus Stroman went out for the year, it was only a matter of time before Cecil was declared the 9th inning guy to start the season. Will he hold the job? Who knows? But guys like Steve Cishek ($16) and Neftali Feliz ($13) are no lock down sure things either. CJ Cron LAA: A bat with some pop for the UT slot. Rob Refsnyder NYY: I’m not sold on Stephen Drew keeping that job and Refsnyder has on base skills and power that will play in Yankee Stadium. I say it’s only a matter of time before he gets a shot. Adam Ottavino COL: “Old Man Hawkins” can’t keep that closing gig all year and I think Ottavino gets a serious look at some point in 2015. Angel Pagan SF: Always a health risk, but if he can make it to opening day in one piece and play for a month, I’ve covered my Hunter Pence pick with a player capable of 75% of Pence’s production. Seth Smith SEA: More outfield depth with power and at least one annual hot streak in him. Jaime Garcia STL: I just need a few April starts to bridge the gap to the return of Richards. That’s all I can expect from the often injure Garcia. So there you have it, my first foray into Tout Wars. I believe in the depth of my roster, looking for 23+ guys to produce for 6 months. There may not be a ton of superstar celebrity, but I’m betting on the strength of their talent as a collective. The complete draft results can be found HERE. Thanks again to the fine folks at @CityCrabNYC for hosting, to @RonShandler, Peter Kreutzer (@kroyte) and @lawrmichaels for their Tout leadership, and to auctioneer @Jeff_Erickson for deftly running the draft, @LennyMelnick for suggesting I apply and to everyone for making the rookie feel at home. Really cool, thanks for sharing. You should consider sharing this with this community as well.